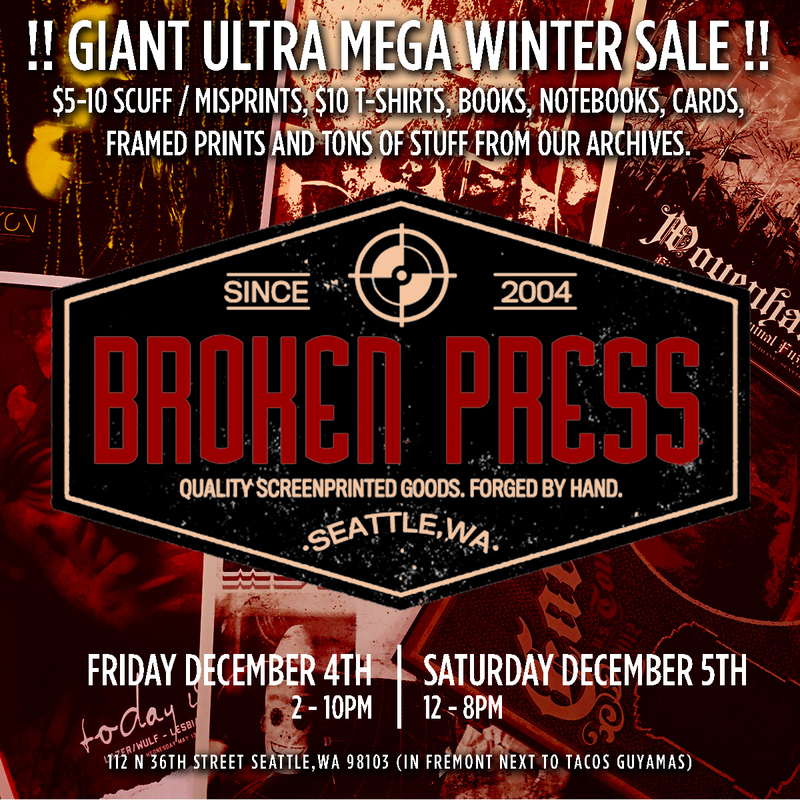 Giant Ultra Mega Winter Sale!! A long over due purge of our shirts, cards, notebooks and archives is at hand! Come join us Friday December 4th from 2-10pm and Saturday December 5th from 12-8pm. We’ll be pulling out a ton of prints from our personal and shop archives along with framed prints, long forgotten art prints and so much more. Next Next post: In-Store sale!